When weaning both E and Rufio, for the most part I tried my best to whip up some form of homemade mush, with the help of my Beaba Babycook. However there were quite a few attempts that didn't quite end up like the pictures in my well thumbed baby cookbook, so I would always have a substantial stash of Ella's Kitchen pouches close to hand for backup. They were a complete and utter lifesaver to say the least!! Rufio has recently outgrown the Ella's pouches and I have to say I was a little bit gutted, they're just so easy to travel with whether you're out for lunch or away on holiday. I would literally fill up my suitcase before going away to make sure we were covered with three Ella's pouches a day for the duration of the trip. 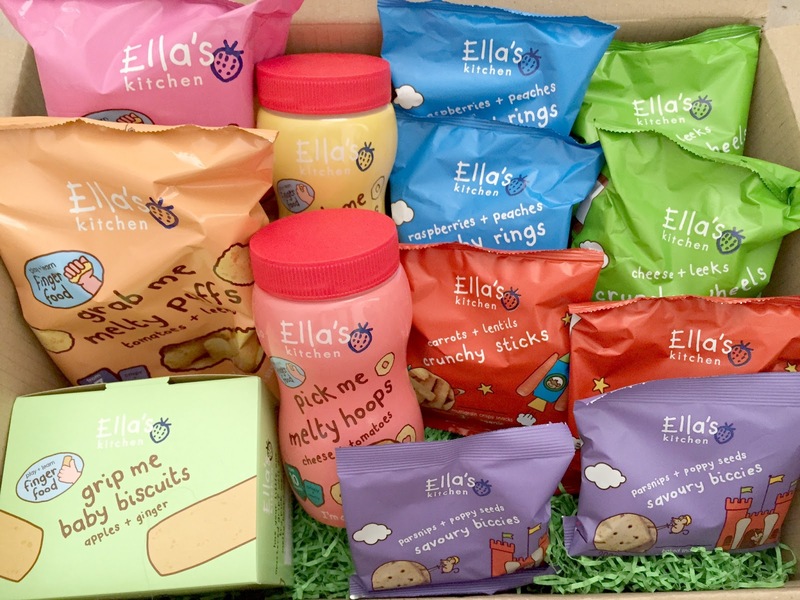 So when Ella's Kitchen contacted me recently to review their new snack range suitable for toddlers and young children, I did a little happy dance, the things I get kicked out of these days...... I'm a sucker for the cute packaging, funny food names and of course I love that all the ingredients happen to be organic and free from additives. My two very willing little taste testers eagerly gobbled up each and every one of the products that we had been sent to sample. With scrummy snacks such as parsnip and poppy seed biccies and raspberry & peach crunch rings, it's easy to see why they both loved all the flavours and textures. 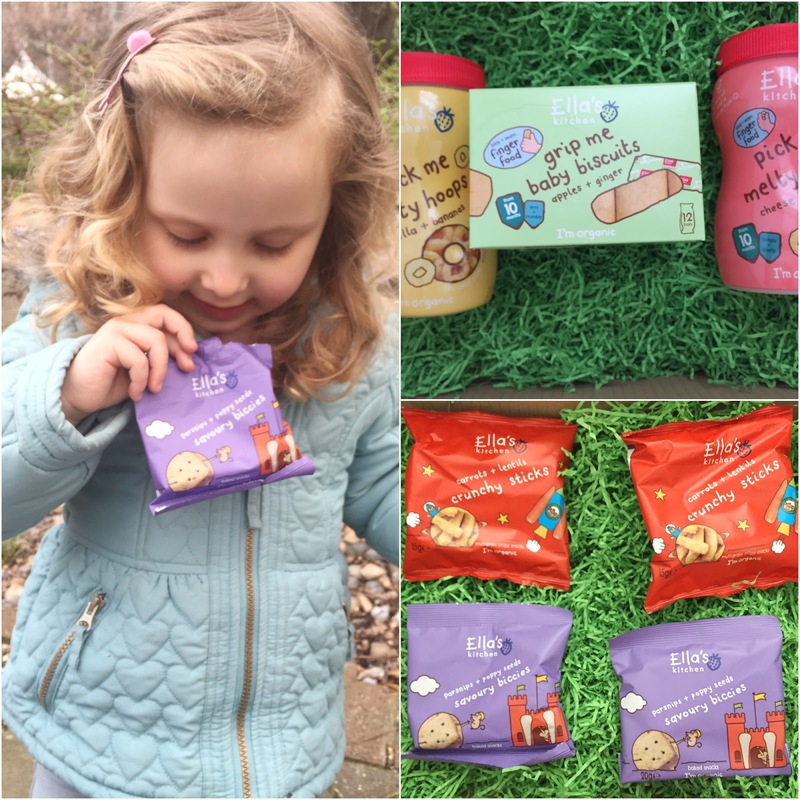 My favourite products had to be the Grip Me Baby Biscuits in apples & ginger. Suitable from 10 months onwards, they are individually wrapped so you can hide a few away in your handbag and whip them out in a superheroesque manner whenever there's a tantrum that needs diffusing! I also reeeeallly liked the Pick Me Melty Hoops which come in a reusable plastic tub. We're actually away on holiday at the moment and I packed these in my hand luggage for the flight. These teeny weeny puffed maize hoops kept my very wriggly and easily bored 21 month old on our laps for take off and landing and will most certainly be on my packing list for future plane rides. 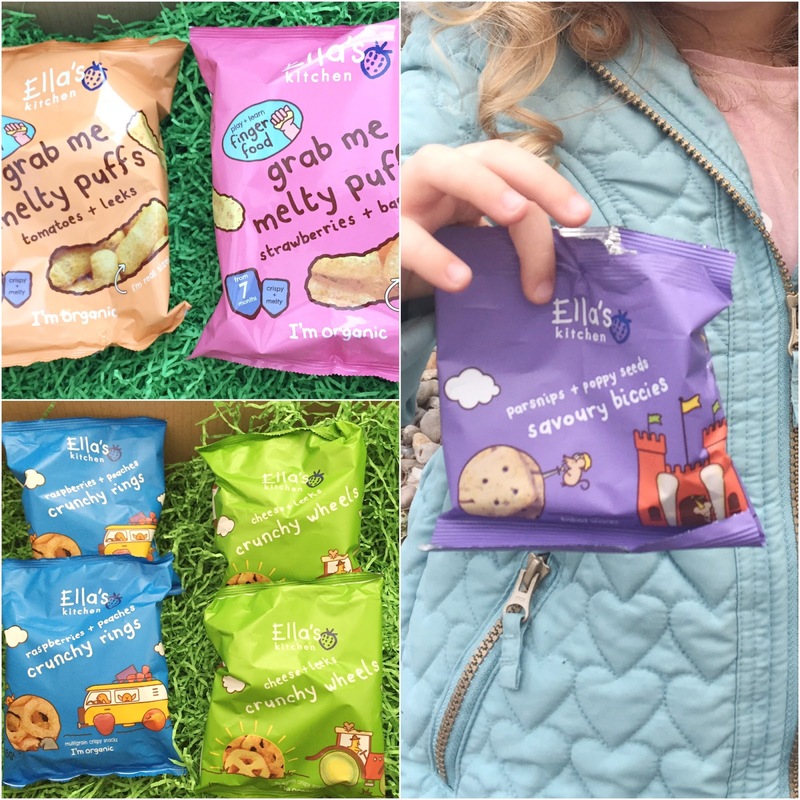 Have your kids tried any of the new Ella's Kitchen snack range? If not, then I highly recommend you try them out. The children loved every snack that we were sent, I might have snuck a few bites myself and it was all rather delish! !